It’s a small boxed set that includes an 88-page booklet, 50 cards with memory tips on them, and a foldout map. On the other side of the cards are images of objects (e.g., key, toothbrush, sock, rabbit), which you can use to practice the journey method. I think that advanced memorizers will be familiar with most of the material in this boxed set already, but it would make a great gift for someone who hasn’t discovered memory techniques yet. The information is presented in concise snippets that are easy to digest. 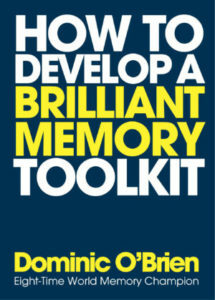 If you want to introduce someone to memory techniques, you could give them this boxed set as a gift, while performing a small demonstration of what is possible, for example memorizing the random objects on the included cards. If you explain the journey method (pp. 40-45) to them during your demonstration, or at least walk them through the body system (pp. 46-47), I think that it would be enough to inspire them to go through the entire booklet and cards. Upon completing this material, a reader should have a good grasp on the basics of memory techniques. 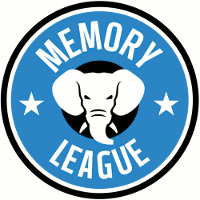 I would recommend this product to someone who is new to memory techniques who may not have enough motivation yet to invest time in a longer book like You Can Have an Amazing Memory. This product is a way to get a quick overview of basic concepts. what would be the minimum age for this? I don’t have kids, so I’m not sure, but I think that someone 8-12 could work through the material with adult guidance. If I were working through it with a kid, I would read a section and understand it first before reading it together — otherwise the kid might get bored. For independent study, it’s probably at a teenage reading-level. The kit is missing a zero card. When I contacted the publisher, I was told the instructions for the number -shape system on page 31 was a typo. There is no zero card. Unfortunately this was just a lazy response. On page 28 is given a break down of all single digit numbers. These memory techniques are fantastic!